Geocoder, the Ottawa-based company that managed to develop a database of postal codes using crowdsourcing techniques, has settled a controversial lawsuit brought by Canada Post. 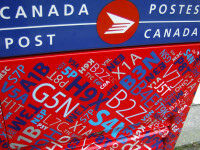 Canada Post sued in 2012 claiming intellectual property rights in postal codes. Geocoder did not copy the postal codes, however. Instead, it used crowdsourcing to develop a database containing over one million Canadian postal codes after asking people to submit their postal codes with their address. The database is freely available under a Creative Commons licence and is enormously valuable for organizations that need access to the data but are unable to pay the steep fees levied by Canada Post. While many open data advocates have long argued that this information should be available under government open data initiatives, Canada Post has steadfastly refused.